Linear Rotary Actuators - Programmable in Force/Torque, Speed and Position. NOTE: SMAC insists that all units must be operated with a 40% maximum duty cycle. Please see the Tech Info/Set up Information page or manual for further explanation and examples of how to calculate the duty cycle. We manufacture actuators to suit our customers' requirements. Please call us if you do not find the right actuator in this list. 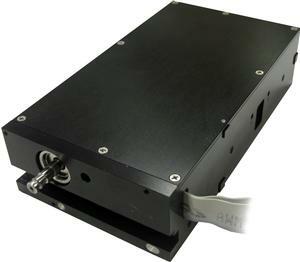 Encoder resolutions 5µm standard, 1µm and 0.1µm optional for most units. Consult factory for availability. Return spring Prevents the shaft from dropping during vertical operation when power is cut. Extended nose bushing For tighter shaft run-out and higher side load onto the shaft. Increase of the maximum force and acceleration 48 volt coil and double coil options are available for some units with 24 volt single coil. Please consult factory for availability.